It is common to experience both physical and emotional changes during your period, and fatigue is one of those that can really affect your daily life. It is, however, possible to minimize and even completely avoid this fatigue through an understanding of the triggers and steps to fight against it. Why Do You Get Fatigue During Period? A direct link between a decreased level of estrogen in the body and fatigue has been confirmed by many studies. Estrogen can help speed up metabolism, and when its levels decrease, your metabolism will slow down, which makes you feel tired. If you suffer from cramps or have a heavy flow, you may have a difficult time getting an adequate amount of sleep. The pain may keep you from sleeping peacefully as you have to get up in the middle of the night to take pain medications or change tampons. All these can make you feel tired. It may sound illogical, but avoiding exercise during your period can actually make you feel more tired. This is because endorphins are released during exercise, and your body uses this hormone to be energized. But you should avoid strenuous activities during this period. 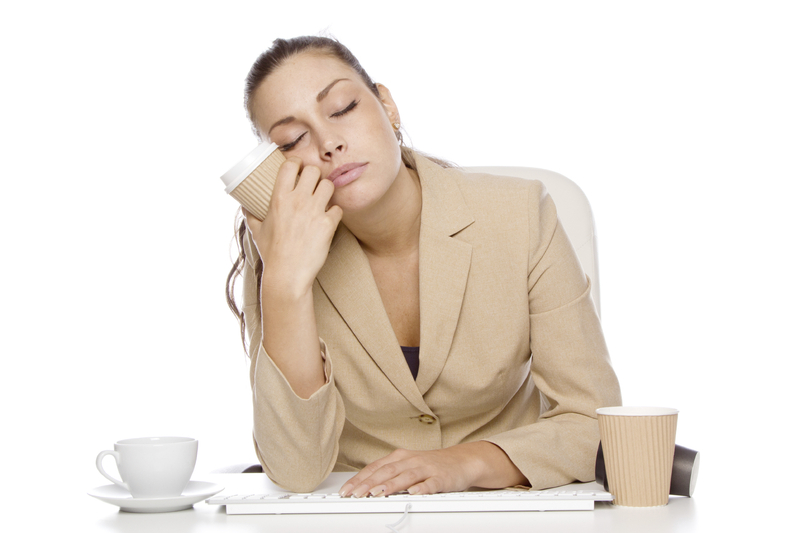 Women who suffer from iron deficiency anemia are more likely to experience fatigue. Anemia restricts the body's ability to efficiently transport oxygen throughout the body. If you also have heavy flows during period, you are likely to feel extremely tired. Dehydration can cause water retention and bloating as results of high levels of salt in your body. They can cause side effects on your mental health, leading to fatigue. Eating multiple, smaller meals during the day will help give you more energy, because the energy required to digest a large meal is significant and enough to make you tired. Make sure that you choose healthy snacks to eat in between your regular meals, and adjust the portion size of your other meals accordingly. Make sure that you eat lots of foods that are rich in protein. Protein will help you avoid any sugar spikes or crashes which can cause you to feel tired. 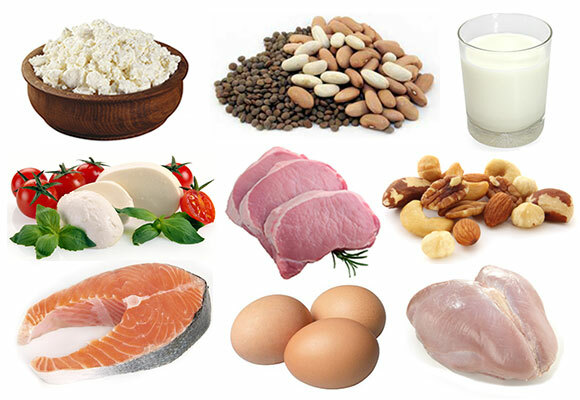 Protein also helps in the production and release of certain hormones that prevent the body from feeling fatigued. Some protein-rich foods include chicken, turkey, duck, salmon, tuna, pork, and ham. For vegetarians, beans, peas, soy, almonds and sunflower seeds are excellent protein-rich options. 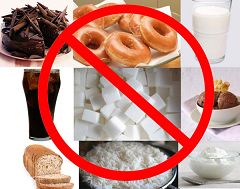 You must include fewer sugars and carbohydrates in your diet. Although they can provide a short-term boost of energy, this spike will be followed by a sharp crash because they are metabolized very quickly in the body. Researchers have associated this spikes and crashes with fatigue during period. Therefore, you'd better resist the temptation of grabbing a slice of cake or a tub of ice cream during your period. A protein bar to satisfy the cravings will do the job much better. Loss of blood and lack of nutrition will contribute to anemia which make you feel tired, but you can prevent it by taking an iron rich diet. 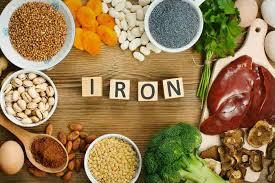 Beans, lentils, green leafy vegetables, and beef are foods that will help provide your body with an adequate supply of iron. Contact your doctor if you find yourself still tired after adding iron-rich foods. He or she may prescribe supplements for you. Regular exercise is extremely beneficial for the body and will also help reduce the levels of fatigue. You should do 30 minutes of aerobic exercise 3-4 times a week to see an improvement in lipid profile, reduction in the incidence of heart disease, and a better balance of hormones. The endorphins released by the body act as a mood up-lifter, helping you feel happier and less tired overall. You will also experience a better quality of sleep after exercise. As we have mentioned, dehydration may make you feel tired as well. Try to take more than 64 ounces of water during the day and also include vegetables with a high water content in your diet. Researchers have concluded that the body needs between 7-9 hours of sleep to feel properly rested. This is even more important during your period. One way to improve your sleep is to avoid any caffeine and alcohol. They are stimulants which disturb the normal sleep cycle. Relaxation techniques like yoga and meditation are also helpful in this regard. You can also listen to calming music, and watch comedy shows or movies. You can learn more tips of how to sleep on your period. The use of multivitamin supplements will help you fight fatigue during period. 200 mg of magnesium daily works in relieving the symptoms of PMS and water retention. 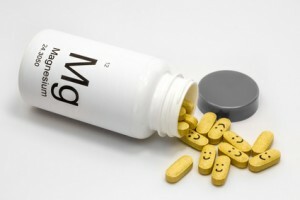 You can also take magnesium along with vitamin B6 to reduce the severity of PMS symptoms more efficiently. Consuming 1200 mg of calcium carbonate daily has also been shown to be effective in reducing fatigue during menstruation.